Do you need restorative dental care? Restorative Dentistry encompasses the various methods we utilize for replacing or restoring missing teeth or missing parts of your natural tooth structure. Structural tooth damage is a common dental problem for patients of all ages. Damage can result from decay, the deterioration of old restorations, or fractures. No matter how your damage developed, you need restorative dental care to repair your natural and healthy oral functioning. If you need a smile renovation, make a restorative dentistry appointment with the highly qualified team at Sommers Family Dentistry today. 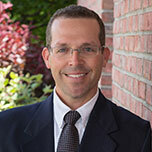 Sommers Family Dentistry is the leading restorative dentistry of Norwalk, OH and the surrounding communities. Restorative dentistry is the integrated management of oral health problems resulting from injury or decay. 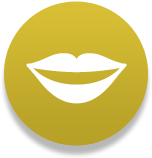 It focuses on restoring the mouth to a functionally and esthetically constructive state. While our primary goal is always to preserve your natural teeth for as long as possible, we offer both fast and effective solutions for tooth replacement. We can replace missing teeth with dental implants, dental crowns and bridges, or full or partial dentures. Replacing your missing teeth is essential to maintaining good dental health. Tooth replacement relieves the stress on your remaining natural teeth, and filling in the empty spaces left by missing teeth can help prevent cavities from forming in the odd-shaped gaps left vulnerable to plaque-causing bacteria build up. What Are Your Restorative Dentistry Options? CEREC One Visit Crowns: Dental crowns are tooth-shaped cap that can be placed over a tooth to restore its natural shape, size, strength, and overall appearance. 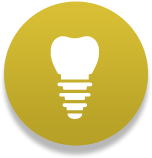 Dental crowns are used to hold a dental bridge in place or cover a dental implant. Dental Bridgework: Dental bridges can be anchored to your remaining healthy teeth to hold a dental crown in place. Dental Implants: Dental implants are actually small replacement tooth roots. Implants are made of biocompatible titanium and are gently placed into the jaw bone socket to restore your missing tooth and its natural root. The implant can be covered with a dental crown or denture. Dentures: Sometimes full or partial dentures are the better tooth replacement option if you have many missing teeth and you're not a good candidate for dental implants due to unrelated health issues or lack of sufficient bone density. 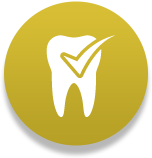 Tooth Colored Fillings: Dental fillings are the most common type of dental restoration. Teeth can be filled with tooth colored composite plastic and glass materials to completely restore its natural form and function. 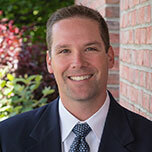 Dr. Norman Sommers and Dr. Adam Sommers are trusted and experienced restorative dentists. Make an appointment with Sommers Family Dentistry for the high quality restorative dentistry services you deserve. Sommers Family Dentistry proudly restores smiles daily throughout Norwalk, OH, Monroeville, Milan, Collins, Wakeman, New London, and nearby areas.